The pearl of the Yucutan peninsula – blessed by calm, turquoise seas, balmy breezes, fine, sandy beaches and framed by craggy volcanic outcrops and dense, emerald-green jungle – Tulum is an emerging luxury hub like no other, which has thankfully overcome the sargussus issue of 2015, with its waters back to clear and pristine condition, save for a few scarce and scattered patches. 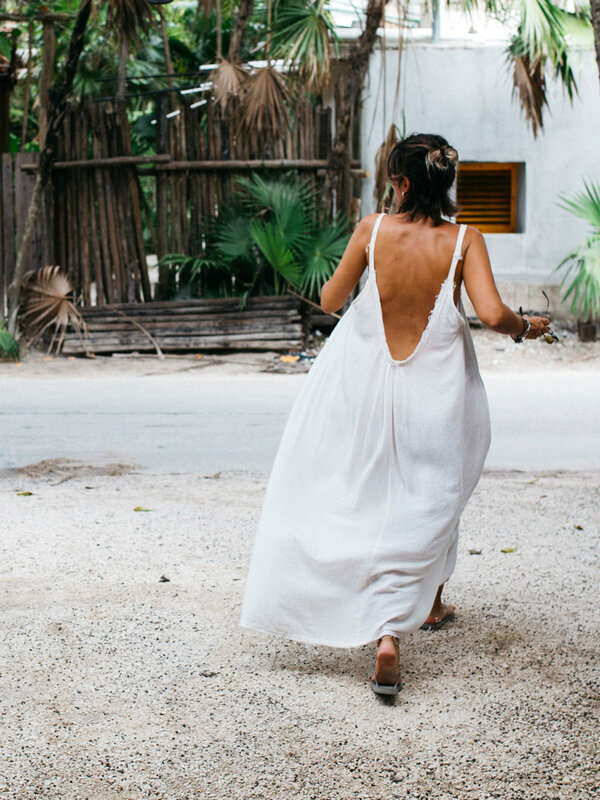 While there’s much to discover in the main tumbleweed town of Tulum, those short on time should head straight for the jungle-fringed beach road of Boca Paila, which runs parallel to the coastline between the famed Mayan ruins and the national park of Sian Ka’an – it is here that this burgeoning boho-chic destination truly blooms to life. Lined with kitsch coffee shops (Tunich – en route to the archaeological site is one of the best for fresh pressed juices, smoothies and rich Oaxacan coffee), charming designer boutiques, upscale hotels, zen spas, and romantic, jungle-set restaurants draped in fairy lights – this strip is an oasis which somehow manages to strike the perfect balance between sophisticated luxury and beach-chic, without straying too far from its local, rustic roots. 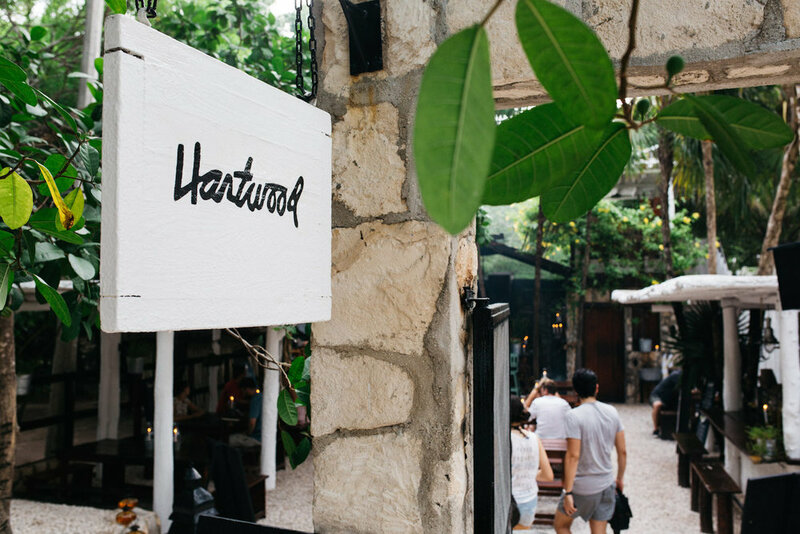 Year-round this tropical outpost plays host to an eclectic mix of hip, young locals and groovy expats who have fled the 9-5, while peak season (December-February) lures a steady flow of sophisticated travellers of all ages (mostly from New York and L.A) and wealthy families on holiday. Yet, despite its burgeoning popularity, Tulum has somehow managed to retain its magic and continues to amuse, surprise and delight with its distinctive mix of raw authenticity, hedonistic vibes and vast selection of unique fine dining establishments, funky bars, world-class spas and innumerable boutiques to browse — many of which have recently garnered much media attention. That said, there are a few standouts to note. To stay – aside from renting a private villa, the most intimate and private boutique-style hotel is the sophisticated, upscale Hotel Escencia on the pristine cove of Xpu-Ha – a short drive from Tulum. It offers five-star luxury with both beachfront and jungle-encased villas and suites, two restaurants, a bar with ocean views and an organic spa. Otherwise, the contemporary Casa Malca – Pablo Escobar’s old haunt and a new favorite amongst the Instagram crowd — offers a more modern experience, with casual service and an arty touch. Once settled, the real adventure begins, and there are a multitude of outlets to explore. 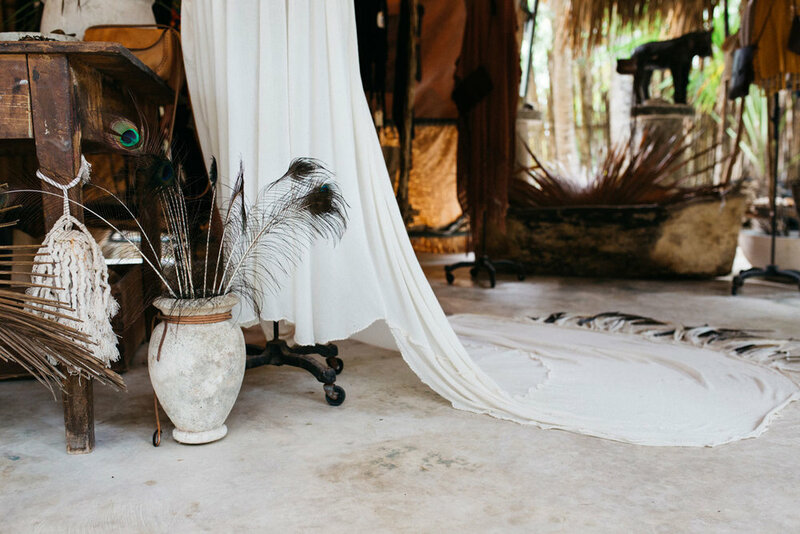 For shopping – Caravana Montaecristo, Mr. Blackbird, La Troupe (for gorgeous embroidery) and Josa Tulum – do fashionable, eco-chic best; offering an array of exquisitely fluid resort-wear and delicate accessories, curated to a tee with the cool, castaway look in mind. Those on the hunt for artisanal treasures, fine food and local, hand-made designer items need look no further than the limestone chateau of Coqui Coqui – a niche perfumeria turned spa, café and boutique residence with just six rooms overlooking the ocean. There, you’ll find rare spices, flavoured honey made from a specific type of bee found only in the region, and a selection of teas concocted from the finest ingredients, as well signature fragrances and an eponymous capsule collection of clothing (men’s and women’s) which offers a contemporary twist on 1920s-30s safari style. Further down the road, surrounded by landscaped gardens, peppered by coconut trees and lit by bamboo torches in the evening, is the heavenly Yaan Wellness Energy Healing Spa which emanates a sense of calm and spirituality and boasts some of the best spa treatments in the region. Directly opposite is the hip, young and happening scene of Be Tulum Hotel, where an attractive and sophisticated set meet poolside by day to sip on tropical cocktails and lounge by beach on plush beanbags and deck chairs amidst ambient compilations. For dining — by day, Tulum lunch favourites are the beach-chic ‘scene’ of Posada Margherita and the Philosophy restaurant in the sculptured Casa Malca gardens — both ideal for lazy, al fresco lunches by the sea; while the young and fashionable BE Tulum bar offers deckchairs, tunes and top mezcals for a chilled sundowner post-meal. After sunset, stylish crowds divide and scatter to dine at the myriad candle-lit restaurants sprinkled along the main beach road, the most reputed of which is the renown Hartwood for its haute-cuisine and sustainable sourcing, along with Casa Banana and Arca, for lighter plates, wood-fired fare and after-dinner drinks. For livelier atmospheres, late night dancing and a selection of spunky cocktails to write home about, Casa Jaguar and Gitano hit the spot. However, much like the region itself, this slice of paradise offers much more than meets the eye — so the richest treasures await those willing to take their time and venture off the beaten tourist path. This article was originally commissioned by luxury travel advisors Nota Bene Global.